The iSkysoft Toolbox-Switch is a powerful and user-friendly data transfer tool between Android and iOS devices. 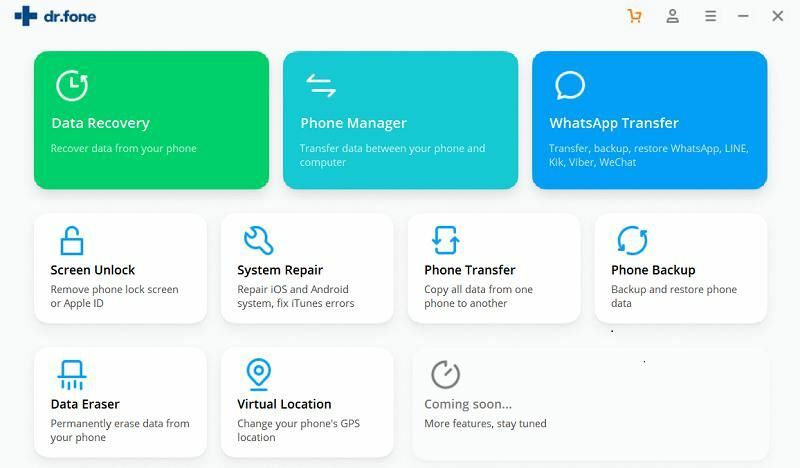 It offers one-click option to transfer messages, contacts, photos, music, videos and other data from iOS to iOS/Android devices and vice versa. The application is convenient, simple and safe to use and help you reduce the time it takes to conduct data transfer efficiently. Now let’s check on the guides below to bring you an improved data transfer experience. To start with, please download and run the iSkysoft Toolbox application on your computer and then choose “Switch” option. Next, keep your devices connected with the PC. 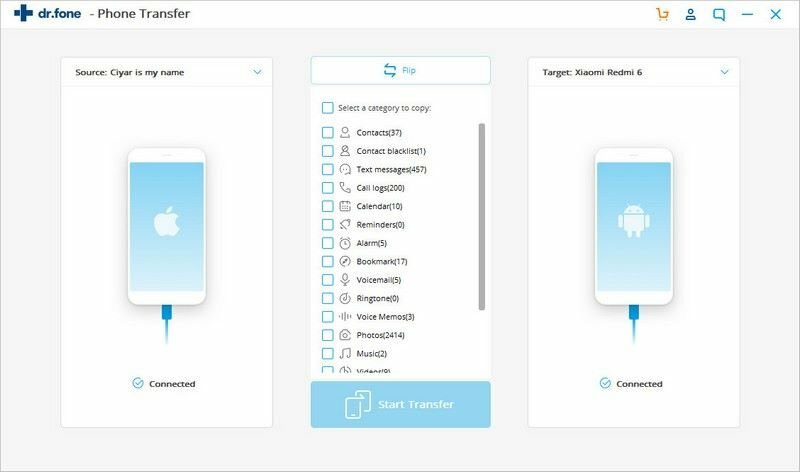 Here we take an example of showing you how to transfer data from iPhone/iPad to Android device. To change how the source or destination device is placed, just tap on “Flip” on the screen. Please note the data is transferred from source device to the destination one. Before transferring the data, please select the data from the window that you want to transfer such as contacts, text messages, calendar, call logs, photos and so on. After this is done, please go on to tap on “Start Transfer”. Step 3: Transfer data from iPhone/iPad to Android phone or tablet. Then the iSkysoft Toolbox will start the process to transfer your iPhone/iPad data to the Android device. Please make sure the devices stay connected during the data transfer process. When the data transfer is finished, a pop-up window will appear informing whether all of the data from iPhone/iPad/iPod to Android device has been transferred completely and successfully.